Highway 14, otherwise known as the Evergreen Highway, curves along the Columbia River Gorge on the Washington side of the river. 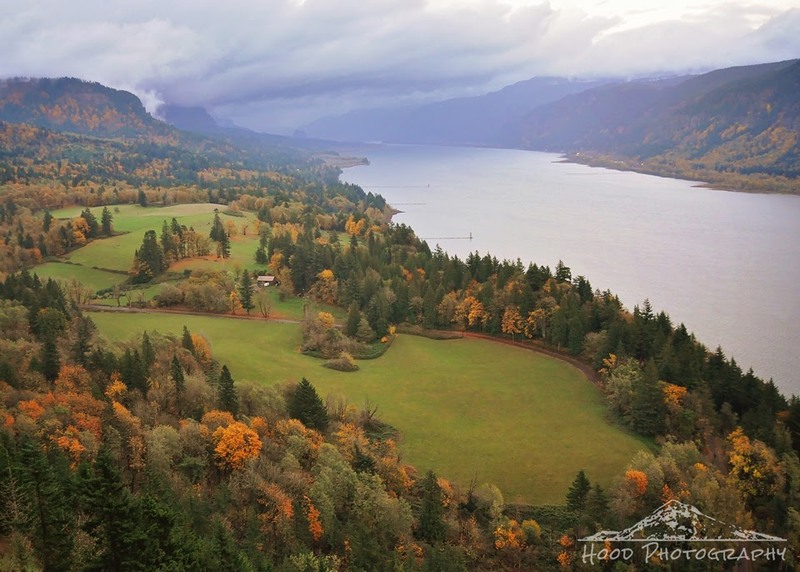 Cape Horn Overlook rests between the town of Washougal and Beacon Rock State Park. The pretty yellows of autumn really popped against the grey skies in the properties below and the foothills on the Washington and Oregon sides of the river. Nice photo. Have you ever hiked the Cape Horn trail? It's well worth a visit! Ah, one of my favorite places and what gorgeous colors!! Thanks for sharing the beauty! Enjoy your weekend!! That is a magnificent view! Wow! That looks like a painting. Excellent on every level, composition, exposure, and subject. Really well done. Happy Skywatching. Have a blessed week-end. So happy to see this fine photo. Thanks! Wow, what a view! Looks like rain off in the distance. Lovely, just lovely scene view. A beautiful blanket of misty tones and autumn colours. So lovely. What wonderful shot ..... great landscape ..
Lovely autumn colors. I can just imagine how golden those trees were. GORGEous place! We love that area. Such a beautiful view! Wonderful! This is so pretty, it almost doesn't look real.